Japanese Bath - Термо СПА Хотел "Римска Баня"
In Europe the Japanese bath is considered exotic. It is inappropriate to think that if we put something Eastern in the appearance, we have a real Japanese bath. 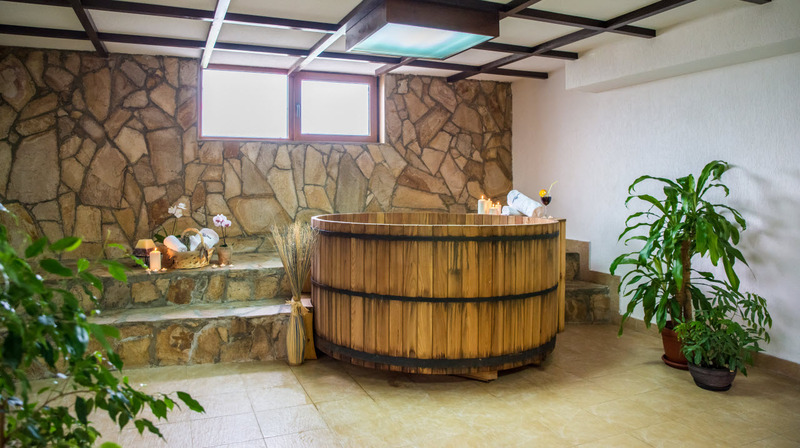 Despite this existing trend, in Thermal SPA Hotel Roman Bath we tried to reproduce to the maximum extent a bath that is typical for a Japanese rural hotel: 2 wooden bathtubs – ofuro, with water temperature of + 8 to + 12 °С. 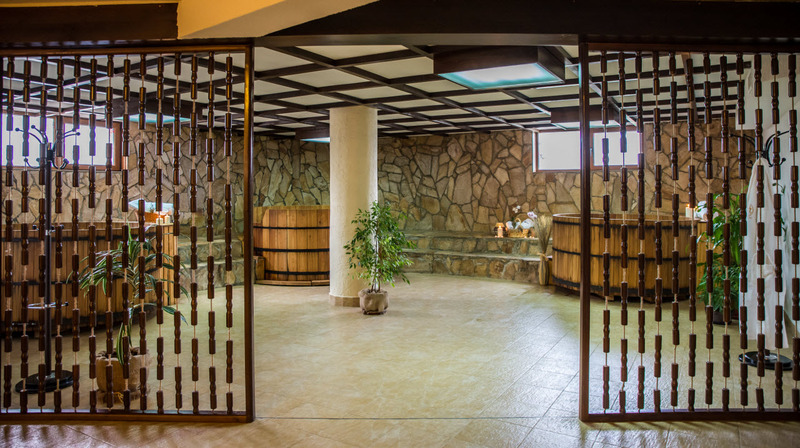 The Japanese bath is mainly used for health, and then for recreation, relaxation, mind clearness, liveliness, beauty, skin freshness. After you take a shower, sit in the warm bathtub for initial heating of the body. After 10-15 minutes you may go to the hot bathtub. After 10 minutes stay in the hot bathtub, the pulse accelerates up to 120 strokes per minute. After the hot bathtub you go to the cold bathtub. And then in the hot bathtub again. This procedure is repeated several times. After this bath you have to take a good rest. Sweating continues for quite a time and for this reason the Japanese going out of the ofuro lie on a couch covered with a sheet or towel for at least an hour more. Studies of Japanese physicians underline that ofuro helps for coping with the stress and for stimulating the cardiac and the renal function. It is an excellent mean for treatment and prophylaxis. 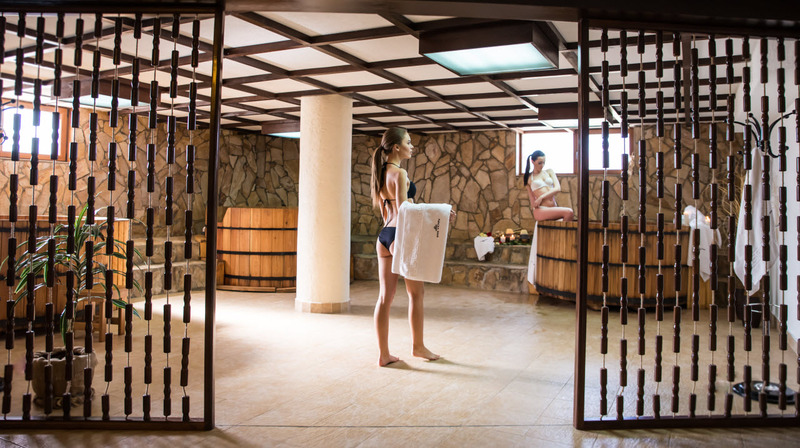 The Japanese bath helps in case of metabolism disorders and relieves rheumatic pains. People who visit the bath frequently suffer flu more rarely. Japanese athletes appreciate ofuro as an excellent relaxation method. 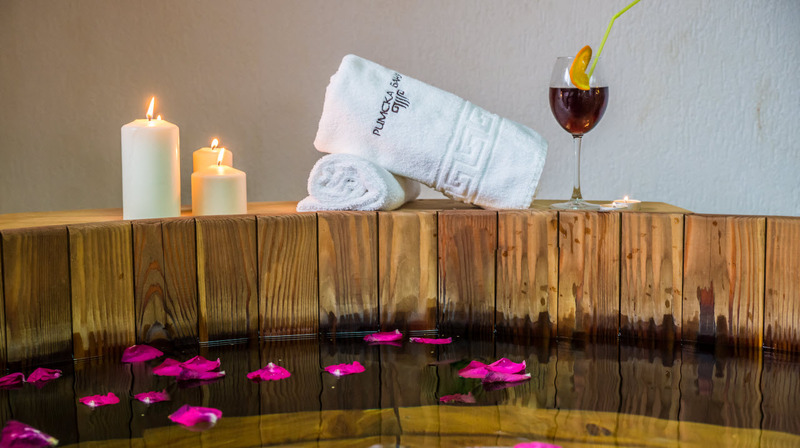 The use of the bath is not recommended for people with exacerbated chronic or oncological diseases, for pregnant women and children under 3 years of age. The Japanese bath is counter indicative in case of epilepsy, tuberculosis, heart insufficiency, hypertonia and angina pectoris.